Phone calls, TV, pagers and things of that sort can make good listening nearly impossible. If you view complaints or criticism as a personal attack, you can become defensive. Once you begin to protect yourself, you will care little about what others thing or how they feel. When you think you have all the answers, you close you mind. And when you close your mind, you close your eyes. Automatically attributing your own thoughts and feelings to others prevents you from perceiving how they feel. When you jump to conclusions, you take away your own incentive to listen. Thinking we have little to learn from others is, perhaps, the most deadly of distractions to listening. Being full of yourself leaves little room for input from others. "Great men do great things. 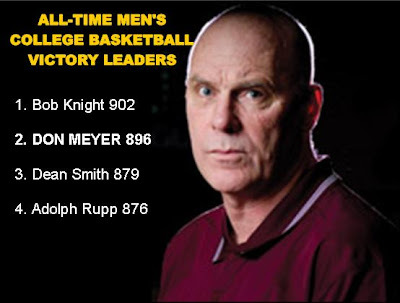 Coach Don Meyer is a great man who does great things. Everyday he works on giving his gift of knowing the game of basketball and player development away to anybody who will listen, and anybody who asks him. Coach Meyer takes pride in sharing his love and passion for the game of basketball and player development each and every day. It doesn’t matter if you are a 7-year old putting up jump shots in the gym all by yourself, or a successful coach yourself who has been coaching for 20 or 30-plus years, Coach Meyer will go out of his way to help you become the best player, coach or person you can be." Coach Meyer made this point simple enough when he said: “As a player, you are always doing one of two things. You’re either bringing energy to the team, or you’re sucking energy away from the team. On our team, we want energy givers, guys that bring energy to the group.” This is a simple enough concept, but Coach Meyer would constantly ask us what type of player we were on an individual level. Was I an energy giver or an energy drainer during the last practice? Did I make the team more energetic, or did I bring the team down? Constantly Coach Meyer would question every player on the team, and as my career progressed I began to see how important the concept was. "There is no guarantee of success in anything you want to accomplish. In fact, if you seek the guarantee of success, you will never succeed! If you’re not willing to take risks or to fail, you can not succeed. That is iron-clad. The true winners are distinguished by the fact that they sometimes lose, but more importantly that they can rise up from defeat. You cannot succeed if you are not prepared to fail. " A few weeks ago, our team opened the season in the State Farm Hall of Fame Tip-Off Classic. As the host team we had to put a lot of work into hosting the event including help set up for a pre-classic banquet. The guest speak was an old friend of mine, Lin Laursen. If you coach women's college basketball, Lin is a household name -- one of the best coaches in our profession. She is not known to many that don't follow women's basketball because she perfected her craft in the junior college ranks where she is the all-time victory leader. Her record was an amazing 971-145, winning 3 national championships and sending over 140 players into the Division I ranks. She won 27 conference championships, including 21 in a row. 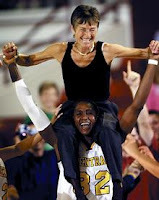 In 2008 she was inducted into the Women's Basketball Hall of Fame. When she flew in to Baton Rouge, I picked her up at the airport and we stopped for a cup of coffee and to talk some basketball. Actually, I asked a lot of questions and she did a lot of talking. I wasn't going to miss out on an opportunity to learn. Coach Laursen was in the first year of her "retirement" after a lifetime of coaching and I asked her what she missed the most. It was a short and simple answer but it immediately hit home with me. As an NAIA coach, I often drove the van with the players through the hills of West Virginia to play our basketball games. There was nothing more enjoyable than a van ride home after a victory. After a loss, there was an opportunity to talk and teach as we weaved through the mountains. At times, I learned more about our players in the van than I did on the court. 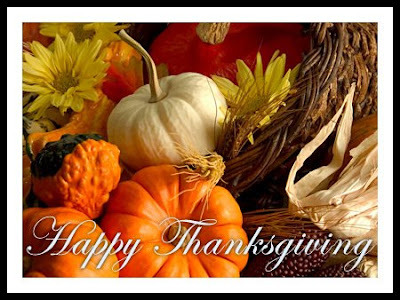 So as we leave another Thanksgiving holiday, be thankful for the great game of basketball -- be thankful for the good wins -- be thankful for coaching friends, good players that are also good people and be thankful for the "van rides." 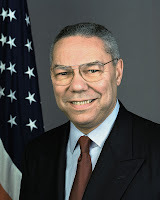 From the magazine "Get Motivated," General Colin Powell shares some characteristic traits of successful leaders that can transcend so many areas including coaching. "Over the years, I’ve observed many leaders from the battlefield to the boardroom. These commanding leaders share traits that you can use to win the respect of your team. Promote Hopefulness: Have you ever seen the ripple effect of an enthusiastic and optimistic leader? As a leader, you set the tone for your entire team. If you have a positive attitude, you team will achieve much more. Communicate your vision to your team. Share exciting news. Celebrate your victories. Smile. Always look for the bright side of a situation. Encourage Growth: Effective leaders inspire and encourage their team members to learn new skills and grab new responsibilities. As a result, their teams avoid stagnation by perpetually reinventing their jobs. Remember: The stronger and smarter your team is, the smarter and stronger you are as a leader. Leader vs. Manager: Titles mean little in terms of real power, which is the capacity to influence and inspire. Just because you possess a title doesn’t mean that you will obtain the respect of those around you. True leaders gather a following through vision, determination, wisdom, expertise, compassion, and integrity. Ask Questions: If you see a possible problem, ask questions until you find the solution. If you don’t know how to do something, ask someone on your team. Never Be Afraid to Make People Mad: As the old adage goes, it’s more important to be respected than liked. Sometimes you’ll have to make tough decisions that not everyone will like. Prepare yourself for these moments by thinking through why you made the decision. Realize that part of your job is to “sell” you decision. That’s part of diplomacy. However, in the end, if others don’t agree, don’t be afraid to hold your ground. Exceptional leaders possess passion and tenacity. Dig in and make sure that the best solution wins!" Today I received an email from The Coaching Toolbox asking me to add some coaching friends to their email list as they are working to grow their site. In return they are going to provide me an e-book of quotes. These guys are working hard to help us! As we will later touch on, entries are a great way to jump start your offense. If gives you the opportunity to provide a little detailed structure to your motion in attacking an opponent. I think it is imperative that you take a look each year at your best players and design your entries to maximize their abilities. We rarely use the same entries from one season to the next. We have some entries that we like to maintain, but we will add different wrinkles to them depending upon our personnel. We will even adjust an entry in the middle of the season to prepare for an opponent. There have been times where we designed an entry to use in a game for a particular opponent and never used it again the rest of the season. They are that simple to install. We also have a few hand signals that we can use at any time. I would imagine that many fans and even a few coaches will see us utilizing these hand signals and think that we are calling plays when actually we are just communicating with our team. As we mentioned earlier, If our team has become too perimeter oriented, we will hold up a “fist” to indicate that we want the ball to “find the paint” through dribble penetration, paint flash or post touch. We also hold up five fingers to indicate that we want five passes on this particular possession to help us become a little more patient. We are big believers in running our offense in such away that we allow the defense to make mistakes and big part of that is being patient. A few summers ago I was reading “Building A Champion” by Bill Walsh. He went into detail about how he learned from Paul Brown to script plays. They would actually start the game with 25 scripted plays. I have been giving it some thought and we are going to try and apply that to our motion this year. My thought was to script a particular concept for the first five possessions. Maybe against a team that packs it defensively we will look to run Regular until we get a double-staggered screen situation. Or we start out in Triangle and make sure Seimone (Augustus) gets two touches before a shot. We can script two or three possessions coming out of a timeout. I am looking forward to how effective this may be. We did this for three years and had great success. Justin Pinkerman wrote another great article on for the Leadership Wired Newsletter that I get via email from John Maxwell's Maximum Impact website. The artcile talks about the leader's approach to handling difficult conversations. I can think back to talks with players, staff members, administrators and boosters and these guidelines are helpful reminders of how important a conversation can be in getting your point across properly. And just like a game, it's critical to prepare in advance. In an effort to soften the blow, some leaders mislead difficult conversations and unintentionally create confusion. For instance, to avoid seeming overly stern, a leader may adopt a friendly, non-confrontational tone while attempting to deliver a sharp and serious message. The mismatch between the leader's posture and the leader's talking points leaves the listener feeling confused. At other times, leaders simply talk around problems or euphemize to the extent that their core message loses its meaning. When initiating difficult conversations, a leader should use honest and direct language. Although it may not seem easy, clarity will help to facilitate resolution of the problematic conversation. Preparation Tip: Before the conversation, write down the brief content of your message and devise a strategy for delivering it. Difficult conversations serve as emotional pressure cookers. When personal grudges and past injuries exist, a tough talk may unleash a torrent of anger and hurt. A leader must stay neutral and refuse to allow negative emotions to derail a difficult conversation. While you cannot control the emotions of the person you're speaking to, you can make an effort to defuse them. Monitor your nonverbal messaging by adopting calm facial expressions, body language, and voice intonation. A poised demeanor goes a long way in draining the negative emotion out of a challenging conversation. Preparation Tip: Before the conversation, take mental inventory of the mannerisms you adopt when angered. Awareness beforehand will help you to avoid provoking your listener with negative nonverbal signs in the heat of the moment. Avoid escalating a difficult conversation by moderating the use of extreme language. When speaking, phrase your ideas with words that convey your intent with respect. Heed the words of Wendell Johnson: "Always and never are two words you should always remember never to use." Preparation Tip: Role-play a difficult conversation with a friend to rehearse your lines. Although it may seem awkward, it's the best preparation for a tough talk. I just received an email from my friend Kevin Elko. I wrote of him in an earlier blog detailing the tremendous job he does in working with coaches, players, and teams. He has an amazing gift that allows him to quickly understand what a team needs and then to map out a vision for that team. During our Final Four run of 2007, our team was jolted when our head coach had to resign before the beginning of the NCAA tournament. Doug Allen, a friend of our program, arranged for Kevin to speak to our team and it was a transforming 60 minutes. Kevin doesn't just speak to a team -- he involves them and then gives them guidelines to follow. He continued to call me daily to give me means of getting those guidelines through to our team and we did indeed read the Final Four again. He was so very much a part of our success that year in helping us through a difficult time that we honored him with a Final Four ring. His book, 'Nerves of Steel" was purchased for our team and staff and we continue to use it in motivating our team. 15 Defense is one that we can play when we are up against an exceptional post player or something that we use against a poor passing post player to apply pressure. It is important to understand that the base of our 15 is identical to our 10 Defense in that we expect great pressure on the basketball, we want to be up-the-line and on-the-line in the passing lane, and we expect good helpside defense. The diagram shows the ball on the wing and being fed in the post. First, let us talk about low post defense. We want to challenge the poster and make her work for positioning. We do NOT want to allow her to seal us up, in, down or back. As the ball goes into the post, the low post defender wants to establish position immediately behind the low post at an angle in which she takes away the baseline side. The closest helpside defender (C) is moving on the “air-time of the pass” and attacking the top side of the low post. Her goal is to attack the ball, tip any pass that the post tries to make if she fans the ball out to the opposite side. The top helpside player (A) sinks to the line of the ball to take away anything in the opposite low post. 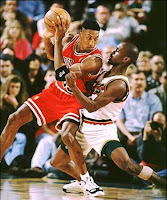 The rule for defenders on the ballside (B and D) is to deny the pass back to their players. NOTE: Should #5 step off the lane to catch the ball, we will not trap. We are only trapping the ball when it is in the low post. When the ball is passed out, we want to move on the “air-time of the pass” and recover as quickly as possible. 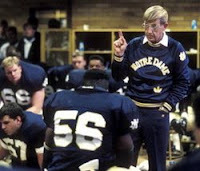 Lou Holtz knows one thing -- how to win. He showed at at North Carolina State, Arkansas, Minnesota, Notre Dame and South Carolina. At all these program he took over an enormous challenge and has them in a bowl game by the second year. Each school had different challenges but for Coach Holtz it was simple to utilize his same formula. That is one on how changing your attitude can improve your team and your game. Here is a list of three key ingredients that Coach Holtz shared in the magazine "Get Motivated." I think attitude is the most important thin in this world. Attitude is something you control. You were given a lot of wonderful powers. You have the power to think, to love, to create, to imagine, to plan. The greatest power you have id the power to choose. Wherever you are today, you’re there because you chose to be there. We need to have a faith and a belief in what we are doing. You cannot be a parent, a manager, a leader, a teacher or a coach and be effective if you don’t have a good self-image. Do what’s right and avoid what’s wrong. It’s that simple. Sometimes we blame everybody and everything around us to the point where it gets ridiculous. We have to remember that we are in charge of our own lives by the choices we make. Whatever you do, do it to the best of your ability. The higher you set the standard for yourself, the higher the self-image. The worst disservice we can do as a coach, as a parent, as a leader, is to say to those around us, “I don’t think you are capable of doing very much-so, I’m going to lower the standard. There are only two types of leaders: those who believe in themselves and lift others up and those with a poor self-image who pull everybody down. Certainly part of role development must be corrective. There are two types of players that have negative effects on role development. The first of those players is the player who does not know her role. — this is an education break down. The challenge is to continue to work with her through communication, video, and practice structure. The second of those players is the player who does not accept her role — this is an attitude break down. Probably the best attitude adjuster for the player that will not accept her role is playing time. When she is effectively executing, her time increases. When she does not play within the necessary guidelines needed for team success, playing time decreases. Along these lines, role development can be a motivator for players to work on parts of their game. The player that wants to be able to shoot the ball more can be told that the reason she is not allowed to shoot the ball as much is because it is a part of her game that needs to be improved. As a coach we will work with you at any time to help you improve. As a player you have the ability to spend additional time on your shot. As your shot improves, your role can expand. The most difficult thing about role development is that it takes constant maintenance and massaging. And if you have some hard working players, it will also need adjusting on occasion. I think regardless of how you play offensively or defensively that developing your roles will be important. But if you are going to utilize motion offense as your method of attack it is a major priority for you, your staff and your players. Some more on Tiger Woods via Nate Booth's book, "Tiger Traits." 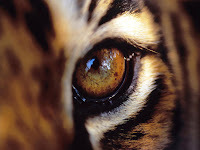 "Even with the tons of natural talent like Tiger has, golf is a difficult game to master. Tiger knew the secret to master when he was only six year old. 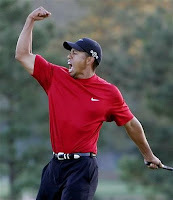 Tiger already had made two holes-in-one. People would ask him, 'How did you get so good, Tiger?' And he would answer, 'Practice, practice, practice.'" us without our notice, as a leaf from a tree." "While it's important to win, it's imperative to compete." Of course, the most important part of educating is that of your team. You must constantly communicate to your team as to what their roles are and why they are so important. Individual player meetings can be extremely helpful. It is important for players to understand their role and why, but they need good feedback as well. If their primary role is to screen, the player needs to know they are doing a great job screening or they are not. Again, video is important, not just with the team but individually. It is also important at this time to make sure we understand that some players will have the role of scoring. Often, the word “role” makes many think non-scoring. The role of scoring is extremely important and your players with the ability to score must know that they are expected to execute their role. A tremendously important part of developing roles is within the structure of your practice. Part of what we have already discussed is the way you communicate to your team. But you can also go a long way in solidifying roles by your practice. We do a lot of drill work on the fundamental parts of the game. That alone gives value to those areas. While we will go into detail later on our teaching methods, we are always looking to make drills competitive. To do this, you need to keep score, have winners and losers, and consequences for the losers. This is not an earth-shattering concept. But what you can do is keep score differently. We may play four-on-four but the only way you score is by setting a good screen. If you make the basket, your team gets to keep the ball but there is no point value for a made field goal. Obviously, the good screeners become very important in this game. You can give a point value to post feeds or any other part of your offense (or defense). That’s the one thing my staff agrees on: how valuable the (video) tape can be as a learning tool. Most people don’t know this, but when I was a player I used to go home after a game and watch it all over again on tape. It wasn’t so much to watch myself. What I’d do is zero in on plays where I had the ball, and see where my teammates were positioned. That way I could tell if I could have made a better play, or if there was someone who was open that I hadn’t noticed on the floor. It also helped me make sure my teammates were going to the proper spots on the court. You can’t believe how many times I’d be sitting home replaying a game I had just played, and I’d watch myself come off a pick, and I’d see Danny Ainge, wide open in the corner, and I’d say to myself, “Geez, how did I miss him?” Then I’d go in the next day and say to Danny, “Hey, you were wide open on that play last night in the third quarter. My fault." Click on the link below, the sports page to the Aberdeen News, and you can than click on the video to see highlights of Coach Meyer coaching in his first regular season game. 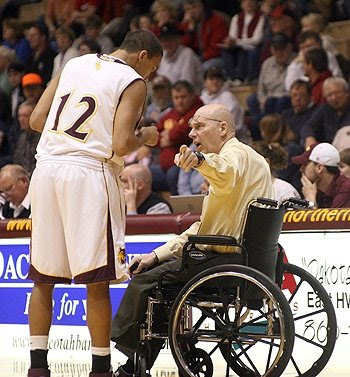 The next few days we are going to dedicate what we do in this blog to Coach Newell. We will share some of his philosophy and teachings as well as what others thought of him and he impacted the game and so many coaches. As articles of relevance show up on Coach Newell, we will add them to this post. Check by in the next few days as we add articles. This article is from the San Francisco Chronicle. It is well written and has a nice video you can watch of Mike Montgomery talking about Coach Newell. A short article on Coach Newell but has some great facts...like the fact that he didn't take a dime from his camps because he thought he owed it to the game. 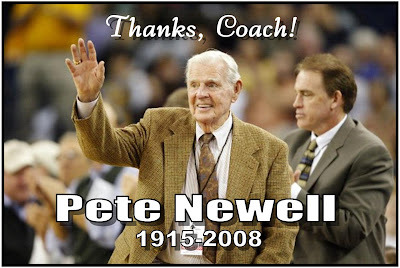 Great artcile on the life of Coach Newell from the New York Times. From the Los Angeles Times we read a great piece about "what if" in regard to the fact that Coach Newell dominated college basketball before retiring early. From the International Herald Tribune, read what other outstanding coaches are saying about Coach Newell. From the Los Angeles Lakers newsletter, we read about how impacted the Lakers organization. From the Texas Tech website, we read where Coach Knight would send his game films to Coach Newell for his insight. play. While the coach associates sound fundamentals with team success, he realizes that a sound and definite philosophy is synonymous with good coaching. A coach's philosophy is the foundation upon which he predicates his success." The following Coach Newell quotes come on a variety of subjects from "A Good Man: The Pete Newell Story" by Bruce Jenkins. On defense: "You start with the fact that there's only one way to play defense. Shuffle your feet, knees bent, hands up." On developing habits: "I believe you can never change a habit, or create one, with a word or a piece of chalk. You can talk all day, put all sorts of diagrams on the board, but a habit is not going to change. It's a conditional reflex, created by a repetitive act." 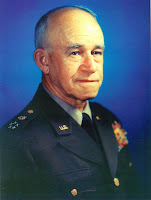 On morale: "Morale is something a lot of people talk about, but seldom really address. You've got to practice it, show that you're committed." 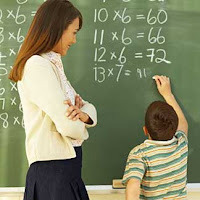 On part-method teaching: "Part-method teaching tells a kid why he's doing something. In five-on-five drills you're not teaching, you're coaching. Break it down to one-on-one, two-on-two, three-on-three, go through every option of the offense and defense, and the players will understand why you're doing it. And if they make mistakes, you can point it out. The parts make the whole. It's like your car engine; you work on the sparkplugs or the carburetor or whatever's causing the problem. You don't have to get rid of the whole motor." On tempo: "We want to make the other team play a game we think we can play better. We do this by making them play at a speed they're not used to." On emphasizing defense: "Everything to me is calculated toward the defense and letting the players know they can assert themsevles." On reverse-action offense: "A really sound offense will have that variety. With reverse action, we'd have a screener, a cutter, and a passer, and if you have the three minds working together at the same time, you'd get a real good shot." On criticizing players: "I never berated a player coming off the court or on the bench. I may have raised hell on the practice court, or watching films the next day, and sometimes it was my fault. But I wasn't involved in blaming people. It was why, why, why. Because when you know the 'why' of something, you can do something about it." On coaching & teaching: "Coaching and teaching are two different things. The coaching never turned me on that much, but I always enjoyed the teaching, the practice sessions." On little things: "It's little things. Like coming to a jump-stop when you catch the ball inside in post-up position, so now either foot can be a pivot." "What he represented to me in this case was the responsibility a teacher has to share with others whatever he has come up with that he found to be of some benefit. When later I was in a position to do that, I always did. If we were doing something that people were interested in, I never held anything back at clinics or in conversation with fellow coaches, especially young ones." This has had a domino impact on many of us in the coaching profession. 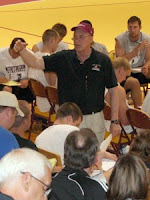 I have attended Coach Kngiht's practices at Indiana -- they were always open to coaches -- as well as attend his clinics. 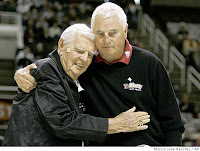 When you think of Pete Newell, Bob Knight and Don Meyer, you think of not just great coaches but people who care enough about the game and those of us who coach it, to want to share their knowledge. It is a major premise behind the creation of this blog. Part of Coach Sue Gunter's relationship gift was always seeing the best in people and communicating it to them. She was a believer in the human spirit and one’s ability to rise and meet their potential. It didn’t matter if she knew you for 10 years or that you had just met, you would always walk away feeling better about yourself. The stories are endless of how Coach Gunter could make you feel. Listen with your eyes. Imaginatively listen to the sounds in a poem, a novel, a picture. Coach Gunter always, I mean always, made eye contact when you spoke. You knew she was listening for content. There was an intensity in her listening. Listen critically. Mentally challenge assertions, ideas, philosophies. Seek the truth with an open mind. This was always evident when we spoke in regard to recruits, game plans, scouting reports, practice preparation. Coach Gunter would ask probing questions or make keen observations that would only come from critical listening. Listen with patience. Do not hurry the other person. Show them the courtesy of listening to what they have to say, not matter how much you may disagree. You may learn something. This was a great quality that Coach Gunter had that she would try to instill to her staff. We would be so eager to impress or suggest that we would sometimes cut each other off and not get the other persons full thoughts. Coach Gunter would quickly stop us and encourage the person to continue. Listen with your heart. Practice empathy when you listen; put yourself in the other person’s place and try to hear their problems in your heart. There was no one better than Coach Gunter. Because she genuinely cared, she always would be an empathic listener. Despite her opinions, she would listen and try to feel what the speaker was feeling. She was very opening minded because she simply wanted what was best for those involved. Listen creatively. Listen carefully for ideas or the germs of ideas. Listen for hints or clues which will spark creative projects. Again, Coach Gunter had a tremendous desire to learn. She was always interested in new and better ways to get things done — again the result of being open minded. Listen to yourself. Listen to your deepest yearnings, your highest aspirations, your noblest impulses. Listen to the better person within you. While Coach Gunter always listened with an open mind, I didn’t mean that she would make a decision overriding a strong conviction that she held. She was fully aware of her experience, especially in coaching, and knew just when to go with her gut instinct. Listen with depth. Be still and meditate. Listen with the ear of intuition for the inspiration of the infinite. Coach Gunter enjoyed listening to those who she considered experts in their field. She could have easily, because of her experience level, erase or tune out many but she was always looking for truth and improvement and she knew to do that that she must listen with a level of depth. By Coach Gunter being a great listener, you should not take that to mean that she was not an excellent speaker. I just believe that her ability to listen made her an even more effective communicator — whether it be verbal or written. "The greatest leader in the world could never win a campaign unless he understood the men he had to lead." Years ago a John Hopkin's professor gave a group of graduate students this assignment: Go to the slums. Take 200 boys, between the ages of 12 and 16, and investigate their background and environment. Then predict their chances for the future. The students, after consulting social statistics, talking to the boys, and compiling much data, concluded that 90 percent of the boys would spend some time in jail. Twenty-five years later another group of graduate students was given the job of testing the prediction. They went back to the same area. Some of the boys - by then men - were still there, a few had died, some had moved away, but they got in touch with 180 of the original 200. They found that only four of the group had ever been sent to jail. Why was it that these men, who had lived in a breeding place of crime, had such a surprisingly good record? The researchers were continually told: "Well, there was a teacher..." They pressed further, and found that in 75 percent of the cases it was the same woman. The researchers went to this teacher, now living in a home for retired teachers. How had she exerted this remarkable influence over that group of children? Could she give them any reason why these boys should have remembered her? "No," she said, "no I really couldn't." 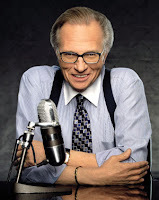 And then, thinking back over the years, she said musingly, more to herself than to her questioners: "I loved those boys...."
#5 Though you -- stand him up! #1 Got outside the lane -- make the hit and rebound down. "It is easy to fly into a passion--anybody can do that--but to be angry with the right person to the right extent and at the right time with the right object and in the right way--that is not easy, and it is not everyone who can do it." Michael Josephson is one of the nation’s most sought-after and quoted ethicists. I subscribe to an email newsletter that his organization puts together called "Character Counts." There is always a lot of great information in the newsletter but I always look forward most to reading "Michael Josephson's Corner." Below is a link in case you'd like to subscribe to the free newsletter followed by another outstanding piece he recently sent out. 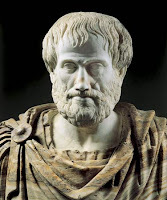 In the early 1900s, a little-known philosopher named James Allen wrote a powerful essay called “As a Man Thinketh” in which he argued that we are what we think, that a person’s character is the sum of his thoughts. He declared that the power to control our thoughts (whether we use that power or not) is the ability to mold our character and shape our destiny. This is a profound insight, making us personally responsible not only for our conduct but for our circumstances. He wrote “As a plant springs from the seed, our actions, character, and even our circumstances spring from our thoughts.” As long as we believe we’re the creatures of outside conditions, we will fail to become the rightful masters of our lives. But if we do the hard work of reflecting continually to identify and modify negative beliefs and attitudes, we’ll be astonished at the rapid transformation it will produce in our lives. Our thoughts and actions can either be jailors of negativity, imprisoning us in degrading circumstances, or angels of freedom, liberating us to achieve our noble potential. But it’s Allen’s connection between thoughts and character that is especially interesting. Yes, our destiny is determined by our character, but our character is not determined by destiny. We can’t always control when bad thoughts and negative impulses enter our minds, but we can decide to either nurture or reject them. Stats are another effective tool. The media may not keep stats on screening but we do. We know how many screens are set, how many are set well, and how many lead to baskets. We keep these stats for practice as well as games and post them everyday. Trust me, our players can tell you exactly who are the best screeners. Post feeds are important to our team so we keep stats on low post feeds as well as high post feeds. Another player, Angie Crockett, had a great understanding of her role. She was an excellent post feeder. 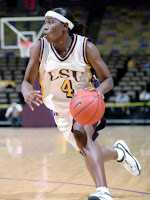 She could feed the low post or recognize a good high post feed as well as any player we have had at LSU. She scored very little but played a great deal because she understood that was important and she was good at it — and she could see her name at the top of a stat list everyday in the locker room. The other part of that education involves the media and the fans. Players crave recognition — it’s simply human nature. Every chance a coach has to address the media or the fans, it is important to make sure they understand the importance of what is going on so they can appreciate the players and their roles. Our coaching makes sure to letmedia know following a game what was important in our play. After each game at LSU, our sports information director will give Coach Van Chancellor a list of two or three players that the conference. Coach Chancellor sometimes adds a name. For instance, because he has a strong belief in the importance of rebounding, he likes to take the team’s leading rebounding for the game. It doesn’t matter if that player didn’t score a point — if she was team high with eight rebounds she’s going to the press conference. Coach Chancellor is putting a value on it by making it a big deal with the team and the press. Coach Chancellor also makes sure that he mentions screening and good defensive play in his press conferences. He also mentions those areas in great detail, pointing out specific players, when he does his radio show or is addressing our booster club. It is important to educate our team so well that they do the same when they speak to the media or to fans. As everyone’s All-American, Seimone Augustus spoke to the media after every game. She never failed to mention the great job her teammates did to screen for her and get her the ball at the right time. That makes a difference in the attitude of the players that don’t get to shoot as often. They feel important to the success of the team. They feel a part of Seimone’s success. Our team was fortunate to advance to the Final Four in 2005 in Indianapolis. The morning before our opening game there was press conference to announce the Kodak All-American team along with the Wade National Player of the Year Award. Our team knew that Seimone had made the Kodak team as she had been invited to the ceremony but no one knew who the player of the year would be until it was announced. As a staff, we made a very easy decision to take our entire team. It didn’t seem like a big deal to us until someone on the Kodak committee said they had never seen an entire team show up for their teammate. On the inside, as a coach, you realize that this particular team fully understood their roles. Teaching your team what constitutes a good shot is certainly important but only a small part of role development. However, as in shot selection, it is up to the coach to help each player understand their role on the team. Just as important, each team member must understand the roles of their teammates as well. There is rarely the team that dresses eight players that all have similar ability — that can dribble, pass, and shoot equally well. With each team there needs to be an understanding by each player as to what her strengths are as well as her weaknesses. They must understand the strengths and weaknesses of their teammates as well. The absolute most important part of a coach developing roles in a positive way is to put value on all areas of the games — especially those that are critically important that may not be found on the typical stat sheet. The first part of placing a value on specific elements of the game is by educating everyone to why something is so important when you don’t see it on the stat sheet. That education must first start with your players. A huge part of our teaching philosophy at LSU is to make sure the players know why they are doing something. Teaching them how, when and where is important but why takes it to another level. As in shot selection (not your shot, it’s our shot), the basket scored is not owned by the person that shot it. There is complete team ownership in that basket. 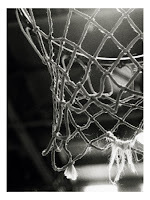 It is up to you as a coach to educate your team as to the reason that basket was scored. When Seimone Augustus comes off a down screen for a jumper, we want the team to know that there were a lot of reasons for that basket. It was extremely important that Hanna Biernacka set a great screen to get her open. Temeka Johnson deserves her share of credit for delivering her the ball at the proper time. Sylvia Fowles deserves credit for posting hard to occupy her defender so she couldn’t help. Scholanda Hoston deserves credit for “seeing the action” and reversing the ball to Temeka so she could feed Seimone. On a deeper level, Tae-Tae LeBlanc, who is not on the floor at the time of the shot, deserves credit for defending Seimone well in practice yesterday to get her ready for that possession. As coaches, we all know that those things are important in a successful possession — that all those players are deserving in credit. But it is one thing to deserve credit...it is another to receive it. Our staff goes out of their way to make sure that those players get as much credit as we can give them for the unheralded elements of good offensive play. We’ll stop practice and ask a player who was responsible for her scoring. In some programs, including ours, teammates acknowledge each other when someone gives them a good pass. At LSU, we have players that acknowledge a teammate that set a good screen to free them. That shows our staff has done a good job of placing a value on screening. We make sure that when we watch video with the team that we point out all of the elements of a good possession. We go into detail why the screen was so effective. We even go as far to give two players credit for cutting and screening on one side of the floor when the shot comes from the other side simply because they occupied the defense. It you think there is something important to the success of your offense you’d better make sure your players know it is important. Above all else, Coach Meyer was a teacher. He wanted to teach the game to any and everyone, from the first-grade campers to college athletes, who would come to Coach for advice on all aspects of the game. Coach was obsessed about the fundamentals of the game, down to the very smallest details, and because of this obsession, it was very difficult at times to play for Coach Meyer. ( in other words, be courteous to everybody). #3 Everybody picks up trash. Coach is very similar to Coach John Wooden in that he is very precise in his practice planning, meaning that he has our whole practice mapped out from the second we step on the floor. When we moved from drill to drill, we ran. There was absolutely no wasted time, and if Coach felt that we weren’t moving in and out of drills fast enough, we would just hit the line. 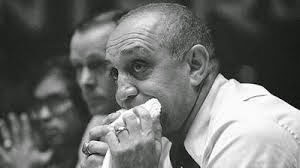 Jerry Tarkanian says he spent the majority of teaching time defending the dribble because being beat off the dribble presents "4 covering 5 situations." They taught to deny one pass away: guard to guard and guard to wing but felt the key to success in a pressure defense was keeping the ball out of the high post. Bob Stoops is an outstanding football coach that has a team that consistently competes for championships both on the conference and national level. I had the opportunity to hear him speak many years ago and came away with an understanding of why he wins. It was not long after he took the job at Oklahoma and one of things he spoke about was his own attitude towards his players. "I believe in being positive, and I believe in being confident. I believe the more you talk to your players that way, the more it becomes a part of their nature. A confident and positive player on the field is better than one that isn't." Players have to trust and believe in one another. You have to find different ways to get the players close. When I first went to Oklahoma, if we had eight players in the dinning hall, we should have them sitting at seven different tables. Now, you walk in our training table and you will see eight players at a table that only seats six people. you have to find ways to get the players to care about one another. All players want to be disciplined. The coach has to be strong enough to give it to them. I do not believe that all players should be treated the same. You treat them the way they deserve to be treated. You must have a good effort. To me the best compliment you can receive is when someone tells you "Coach, it is fun to watch your team because of how hard they play." I value that comment more than any other. We grade effort. We watch the tape of the game. After we critique the film for assignment and fundamentals, we will go back and go through it quickly to see who is playing hard and who is not playing hard. We want to let players hear the same terms over and over. Make sure players have fun while they work. Talk confidently and positively to players. Eventually they will believe you. You want the guy that isn't so good to think he is great. We are going to play players that play hard and make plays. Don't play potential -- play players! As coaches, we always take the blame for our players. "If is my fault." I am not talking about the media. I am talking about in the meeting room and one-on-one. They Look at Things from a New Angle: They take unexpected points of view on familiar subjects. They Have Broad Horizons: They think and talk about, a wide range of issues and experiences beyond their own daily lives. They Are Curious: They ask, “Why?” They want to know more about what you are telling them. The best conversationalists have an endless curiosity about everything. They are always eager to learn something new. They Empathize: They try to put themselves in your place. They aim to relate with what you are saying. The people we most enjoy talking to are those who can relate to what we are feeling. They Have a Sense of Humor: They do not mind using that humor on themselves. In fact, the best conversationalists frequently make themselves the brunt of their jokes. They Are Enthusiastic: They communicate a passion for what they are doing with their lives and an interest in you and your life as well. Tommy Lasorda, retired manager of the Los Angeles Dodgers, came on my radio show the night after his team suffered a crushing loss to Houston in the National League playoffs in 1981. From his enthusiasm you would have thought his team won. When I asked him how he could be so happy, he said, “The best day of my life is when I manage a winning game. And the second best day of my life is when I manage a losing game.” If you project enthusiasm to people you are talking to, they will be more interested in what you have to say. There is an outstanding book written on Coach Meyer by one of his players, Steve Smiley. It is a terrific look at a coach through they eyes of a player which makes it very unique. The book "Playing For Coach Meyer" is extremely well written and a great read. First and foremost, I greatly enjoyed reading the book but I think its best value is to have your players read it. Steve does a terrific job in trying to understand not "what" a coach does, but "why." It's no surprise that Steve went on to become an assistant on Coach Meyer's staff and is now a successful head coach at Sheridan College. Anyone interested can by the book at http://www.coachmeyer.com/. 1. Do not get caught between the speed game and slow down game. COACH MEYER AND THE "F WORDS"